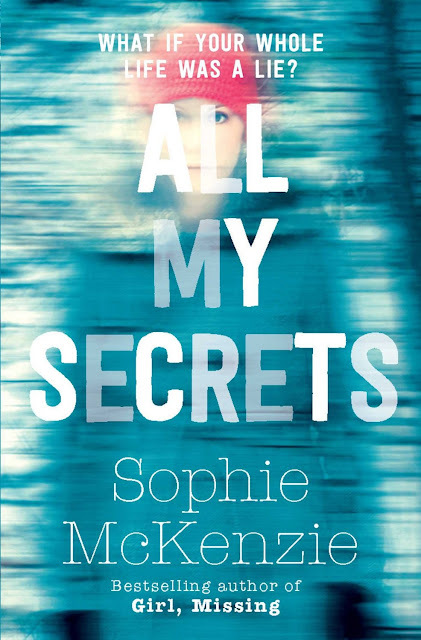 I am so pleased to have Sophie McKenzie back on the blog today, to celebrate the forthcoming publication of her new Young Adult novel, All My Secrets. Your new novel, All My Secrets, is about to be published. Do you still get excited when a new novel comes out? Can you give me a one line pitch for All My Secrets, so my readers can get a feel for the story? When Evie Brown discovers she’s about to inherit a fortune from a close relative her family has lied about all her life, she embarks on a perilous journey to discover the truth about her past; this journey brings her to the sinister island of Lightsea where ghosts supposedly roam and where Evie finds romance alongside threats from both the dead and the living. The book is set on the fictional island of Lightsea, is that based on anywhere in particular or purely fictional? When I was much younger, not much older than Evie, I visited the island of Skye. Though it’s far bigger than my imagined Lightsea, I have never forgotten the beauty and mystery of the windswept landscape and it definitely inspired my fictional island. You are one of the first writers of UKYA, how do feel the genre has changed since you started writing for teens? I don’t think of myself as being one of the first writers of UKYA at all! 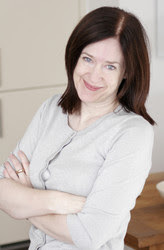 There were plenty of other very successful authors, from Michael Morpurgo to Malorie Blackman, already published long before I came on the scene. In terms of changes to the genre, I guess that certain fashions (like vampires and dystopias) come and go, but fundamentally the principles of storytelling remain the same. I think the bigger changes have come in terms of social media and e-reading – and I think it’s probably too early to say what impact those things will have on #UKYA writing long term. You are known for writing tightly plotted novels, how do you keep track of all the plot threads while you are pulling the book together? Before you start planning, make sure you know whose story you are telling and what they want/need at the start of the story. Your job now is to keep that main character on course towards that goal, while throwing plenty of obstacles in their way. Make sure you know why you’re writing every single scene: What’s the point of it? Does something actually happen that moves the story on? Is that something both plausible and unexpected? You have written for teenagers and adults now, which do you prefer? I actually really like being able to do both; it helps keep the writing process fresh. There are fewer restrictions when writing for adults but if I’m honest my heart is forever YA ! I’m not massively into research – too impatient to get writing! That’s why I tend to set my books in the contemporary world – thus avoiding the preparation required for both historical books and fantasies. I outline the main sections of the book, then I start work. As I come to the beginning of each new section, I plan it out a bit more thoroughly, but I always leave plenty of room for the story and the characters to develop as I’m writing. It depends on the book. Right now I’m broadly aiming for a monthly word count, because the novel (a psychological thriller for adults) doesn’t have conventional chapters. In the past, more typically, I’ll have tried to write a chapter every day that I’m working. Close Your Eyes was chosen as one of the books for Richard and Judy. How did that feel? I felt enormously fortunate that my first book as a writer for adult readers was given such a huge boost of publicity. I’ve been incredibly lucky to have my stories supported so well over so many years. That’s such a hard question to answer, there are so many brilliant writers out there. I tend to like the kind of books I try to write myself – mystery stories with plenty of suspense and an emphasis on personal relationships. Two of my favourite #UKYA authors at the moment are Anne Cassidy and CJ Daugherty. If you could choose one of your books to be made into a film, which one would it be? Hard to pick just one thing! But I think it has to be the advice I was given by Malorie Blackman, who attended the same writing course as I did, a few years before me. She came back to talk to my year group and I asked her what made the difference between the books she’d written that had been rejected by publishers and the first book that was published. She answered with one word: ‘discipline’. I realized at that point that being able to write well or having great ideas were not the only requirements of an aspiring novelist. You also need to be prepared to put in the hours; to keep going in the face of setbacks and frustrations; and to stay open to ways of improving your work. Thank you Sophie for your excellent answers that I'm positive other writers will gain advice from. THERE IS STILL TIME TO ENTER THE COMPETITION TO BE SOPHIE'S #1SUPERFAN!!! SHARE THE FOLLOWING QUOTES ON TWITTER AND TELL US HERE WHICH ONE YOU LIKE THE BEST TO BE IN WITH A CHANCE OF WINNING. YOU HAVE UNTIL TOMORROW TO ENTER, BEFORE WEEK FIVE'S COMPETITION IS ANNOUNCED!